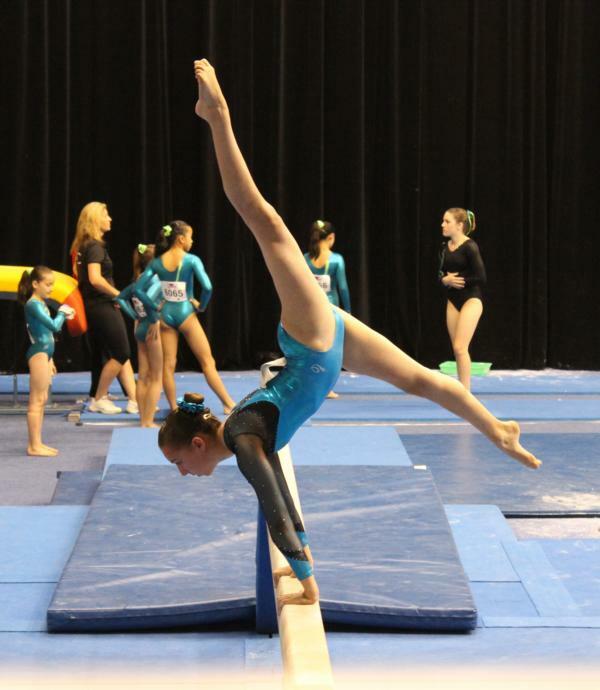 As one of the only all-ages gymnastics club in Canberra’s north, places at Belconnen’s Canberra City Gymnastics Club are in hot demand. It’s only the end of the first week of the new school term, but Canberra City Gymnastics Club office staff member Ann Dawson says classes across all age groups are almost completely booked out. “We would like to expand into Gungahlin to better cope with demand, but in the meantime we do recommend registering as early as possible to secure a place,” she says. Ann has been involved with the club for around eight years. Though her daughter no longer trains or coaches at Canberra City Gymnastics, she says the club’s positive environment keeps her coming back – despite the long drive from her home in Canberra’s south. “Over time you get to know the people, kids and staff that you work with, and as a not for profit organisation with huge numbers – I’ve processed over 700 registrations this week alone – you want to do the best that you can to help them out,” she says. Canberra City Gymnastics Club, which was founded by Dr Les Sharp in 1978, caters to people of all ages, from two-year-olds to adults. “We start off with kinder gymnastics classes for building coordination and getting to know the gym, developing social skills and gross motor skills,” Ann explains. Children are selected from the recreational classes to join competition teams, which compete nationally against other clubs and states around Australia. These teams are taught by experienced Russian gymnastics coaches, while the recreational classes are generally coached by former gymnasts. Ann says that many of the club’s competitive gymnasts are busy preparing for the 2015 Australian Gymnastics Championships, which will be held in Melbourne later this month. “Nearly all of our senior level gymnasts are members of the ACT team this year, which is great,” Ann says. Ann says the club is particularly proud of former Canberra City gymnast Laura Peel, who competed at the 2014 Winter Olympics in aerial skiing and won her first world title at the 2015 World Championships in January. Club gymnasts Adam Falzarano and Hannah Breynard have also represented Australia in recent years. Canberra City Gymnastics takes new registrations all year round, however, as the only north side gymnastics club in Canberra, it’s best to register early as vacancies fill up quickly. 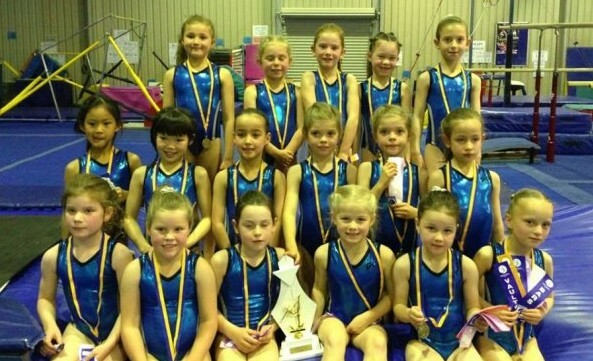 Social media: Find Canberra City Gymnastics on Facebook. This is a weekly series profiling Canberra sporting clubs. To nominate your club for an upcoming profile, please email amy@the-riotact.com. 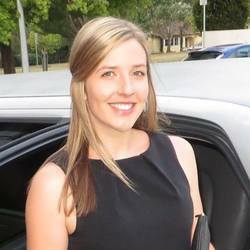 Hi Amy, I just saw this post and profile on Canberra City. I own Gungahlin Gymnastics with my husband and we are Canberra’s newest Gymnastics ACT affiliated club located in Mitchell. I note the Gymnastics ACT website has not been undated to include us as an affiliated club but we are most definitely a recognised club. We offer classes in Kindergym for kids from 1 – 4 and then from 5 years to adults of all ages. We are so happy with how the Gungahlin community has embraced our new club and look forward to welcoming new members in Term 3. For those on the south side, there are two other gymnastics clubs, both properly affiliated and accredited – Woden Valley Gymnastics Club in Holder and Southern Canberra Gymnastics Club in Wanniassa. Both also offer rec and competitive programs and both have great coaches. Gymnastics is an awesome sport to get your kids into – boys or girls – it really is the foundation of all other sports because it develops strength, flexibility, cardio fitness, and balance. Im not sure the article is factually correct, my daughter has just commenced the wonderful sport of Gymnastics at a new all ages gymnastics club in Mitchell with Gungahlin Gymnastics. After being on waiting lists for other gym and doing infill sports such as dance etc, when Gungahlin opened we jumped at the chance of getting a place. They offer classes for toddlers to Adults. Hey Sheera, that’s interesting. To the best of my knowledge, Canberra City Gymnastics Club is one of two northside clubs affiliated with Gymnastics ACT (my understanding is that the other, Jitterbugs, only goes up to age 9). Thanks for bringing Gungahlin Gymnastics to our attention though – and great to hear your daughter is enjoying the classes! My daughter commenced last week and is already hooked (comforting given she has wanted to do gym for years). The new facility is lovely and fresh with the Coaches Megan and Joel are lovely, very well organised, great communication and from what I could see watching last week, make all of the kids feel welcome. They run a very professional outfit. Watching had me thinking I might join the adutls gym class! I suggest you check them out, Im sure they will be a force to be reckoned with in the future.